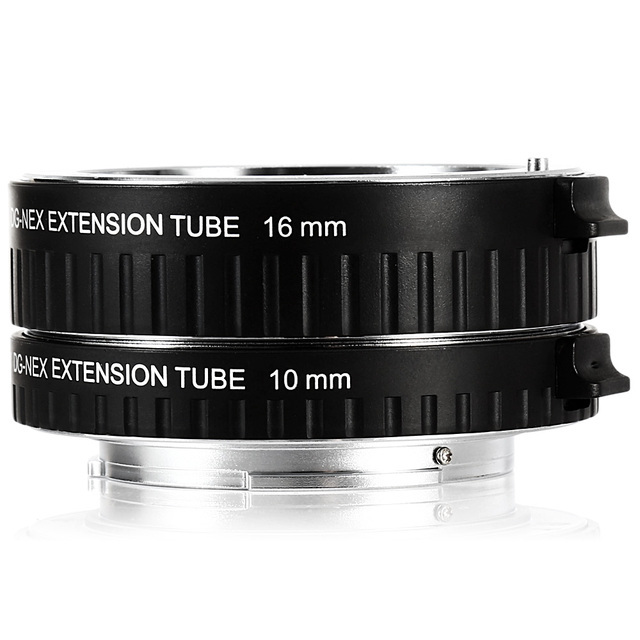 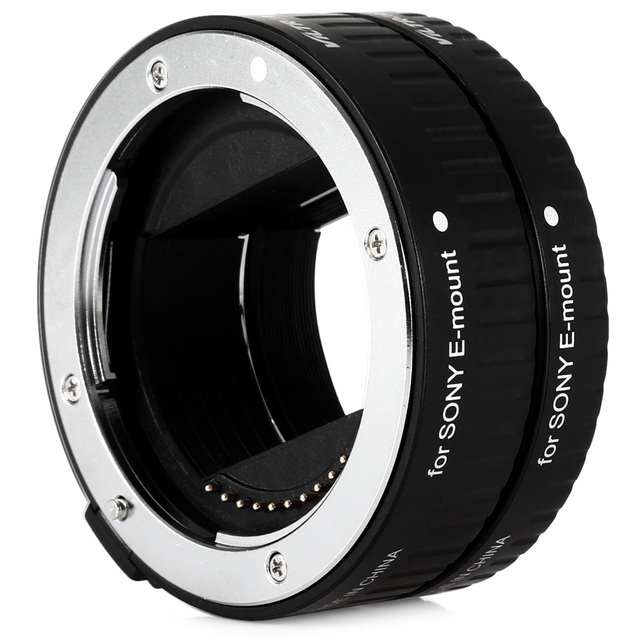 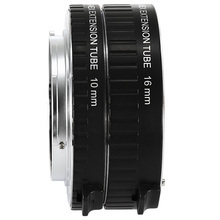 This extension tube set includes 2 tubes specialized for Sony E-mount cameras to achieve macro effect without affecting the photo quality. 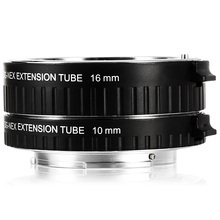 The farther the lens, the closer the focus and the greater the magnification. 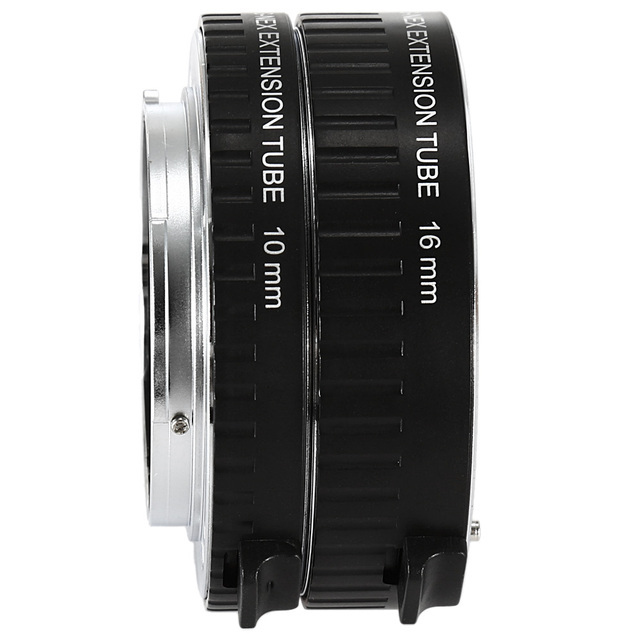 It’s suitable for taking pictures of insets or flowers in detail. 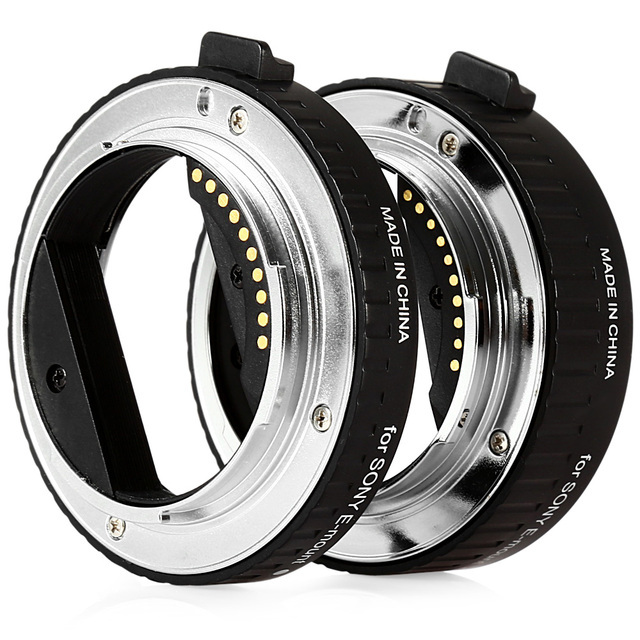 The electronic copper contacts make it perfectly to couple with camera and access to auto focus and aperture controls. 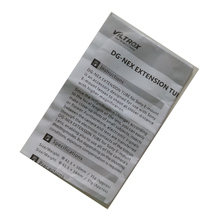 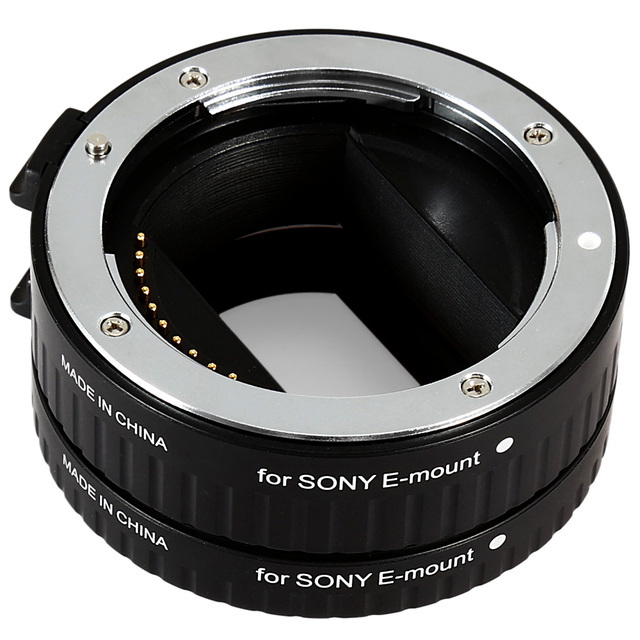 Fit for Sony A7 A7R A7S NEX7 NEX6 NEX-5N NEX-5C NEX-5R NEX-5T NEX-C3 NEX-F3 NEX3N A5000 A6000 etc. Note: The cameras showed in the pictures are not included.